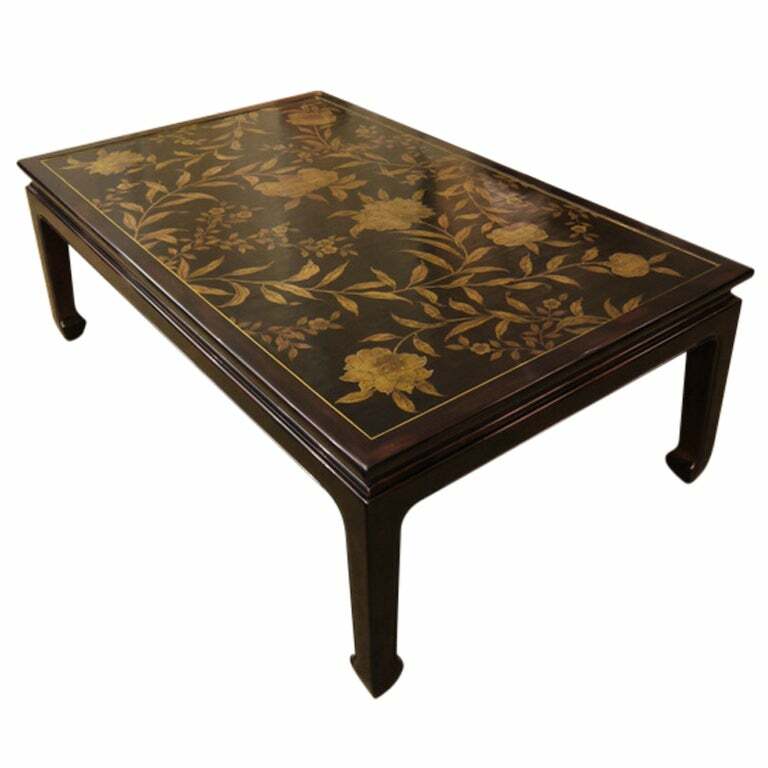 Coffee table with hand-painted floral design in gold, and handmade lacquer finish in very dark brown. 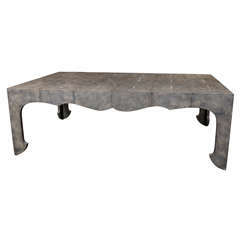 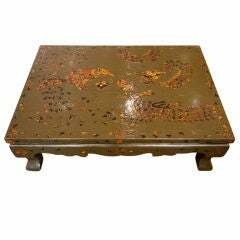 Ming style Gracie coffee table with straight legs and apron, metal edges, gold cashew lacquer and hand-painted floral design. 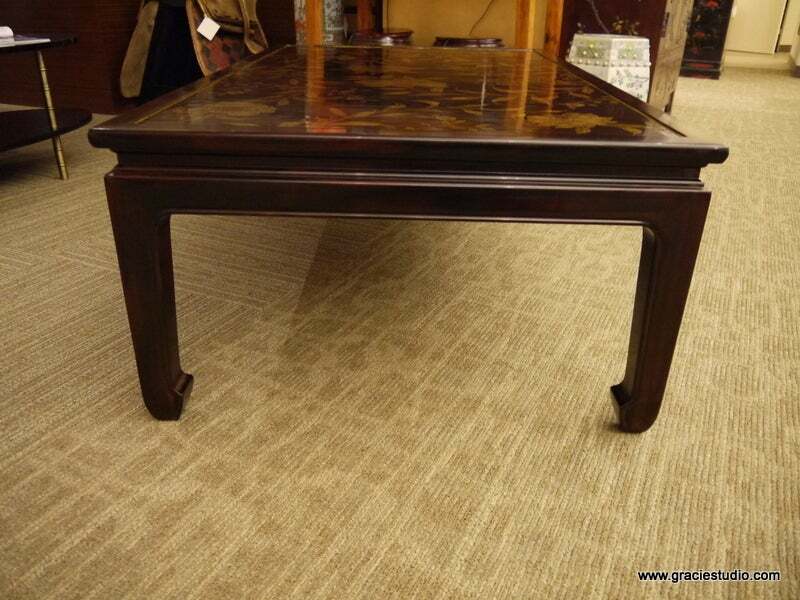 A low Korean table, with inlay of tortoise shell and metal in the shape of a dragon. 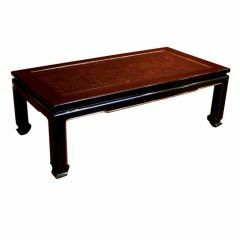 Table has been changed to olive green (probably from brown). 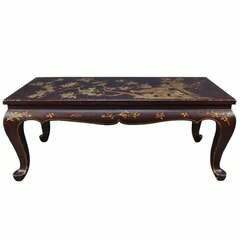 Midcentury chinoiserie style lacquered coffee table with classic peony bloom motif. 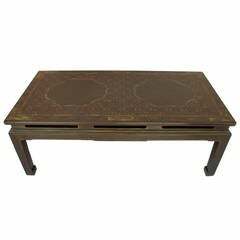 French black lacquered and japanned coffee table with gilt bronze mounts, acanthus detailing (Maison Baguès, mid-20th century). 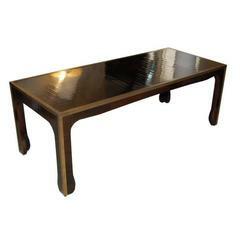 Chinese lacquered top. 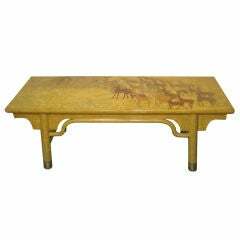 Asian style. 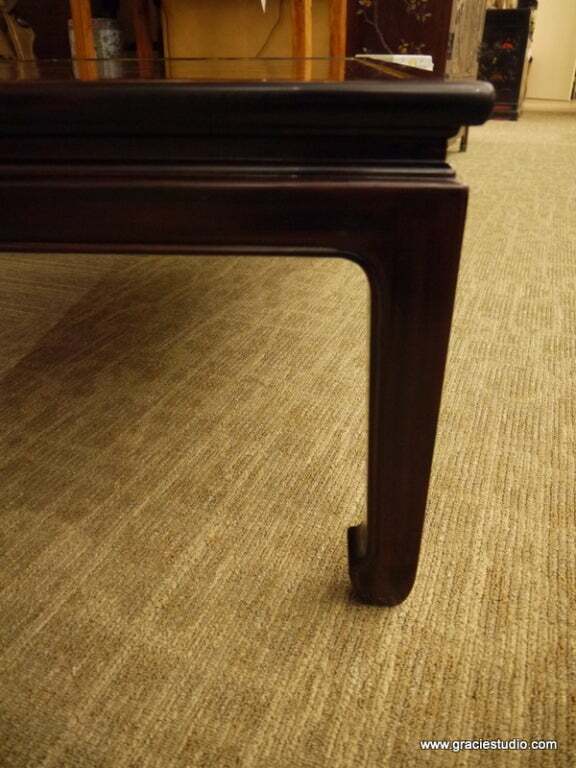 French work from 1950. 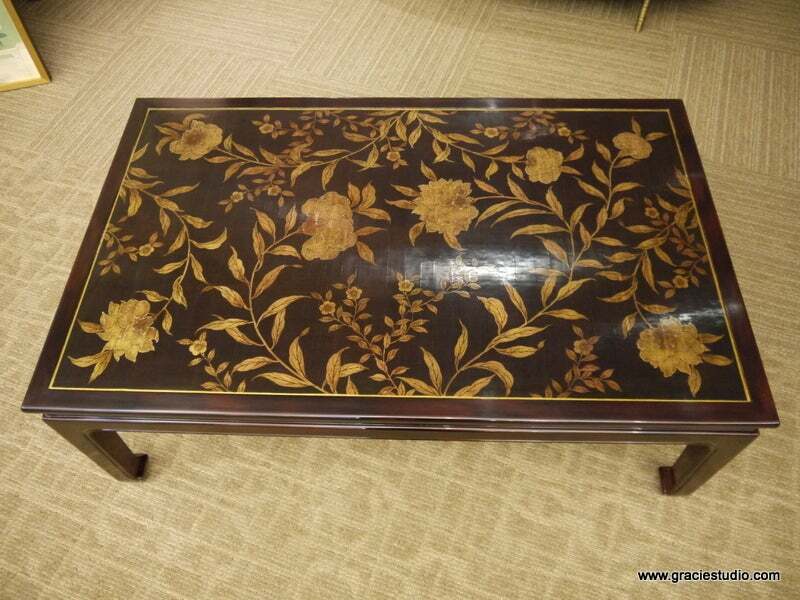 Geometric ornament and gilt highlights. 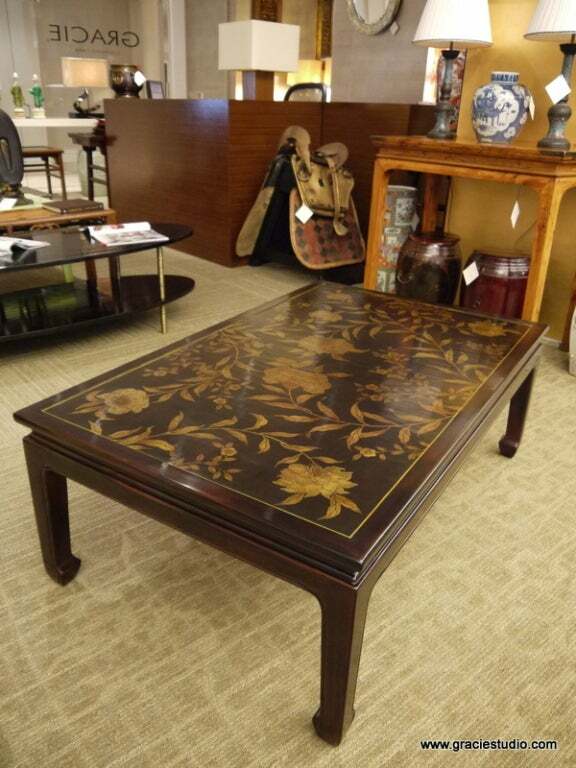 A vintage chinoiserie cocktail table with black lacquered base inset with Chinese double sided screen panel that easily flips from deep red or brown background to soft yellow.